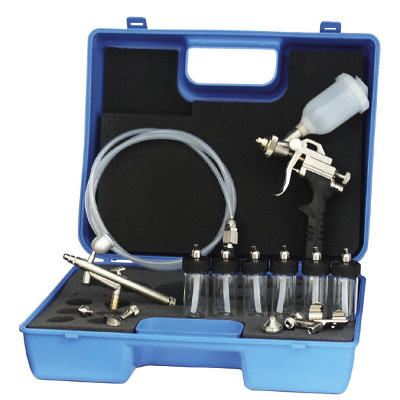 Professional mini-spraying gun KIT suitable for high precision refinishing or for painting on small areas. Very used in car body-working, woodworking and industry. Specially suggested for professional decorators and strict semi-professional users.